The “On Top of the World” music video by Imagine Dragons is my most favorite music video of all time. 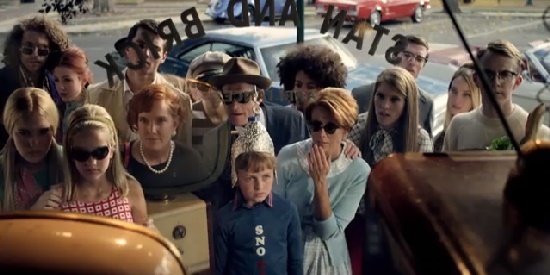 The video portrays a faked moon landing while referencing Stanley Kubrick and late 1960s pop culture. It was written and directed by Matt Eastin and Corey Fox. In addition to Imagine Dragons, it features the lead actor from Napoleon Dynamite, Jon Heder, and many from the cast of StudioC, BYUtv’s sketch comedy show. Guest appearances also include Whit Hertferd, Marvin Payne, the monkey from Friends, members of New Electric Sound, and Robert Connolly from Fictionist. Also appearing is Alex Sermon, wife of lead guitarist Wayne Sermon, and Aja Volkman, wife of lead singer Dan Reynolds and from the band Nico Vega. Costume/Fashion designer Lindsey Shores outlines in a Herald Extra Article the costumes, and her website has great photos from the shoot. Mallory Everton is a hippie. Jeremy Warner is another hippie. James Perry is the boom mic operator. Whitney Call is an assistant to Stanley Kubrik (or President Nixon?). Jason Gray is a Man in Black. Adam Berg is a TV-in-the-shop-window viewer. Natalie Madsen is another TV-in-the-shop-window viewer. Curiously missing are Matt Meese, Stacey Harkey, and Stephen Meek. It’s possible that with a tight shooting schedule that the three of them were out-of-town or otherwise disposed, but is that likely? Sure, neither Stacey nor Stephen are the creator of Studio C, so they may not have been asked to be in the music video. (However, why not??!!!??? What is wrong with you guys? Will Stacey and Stephen ever speak out about this injustice?) Now, Matt Meese on the other hand created Studio C. Why wouldn’t he be in the Imagine Dragons music video with almost all the other Studio C cast? UPDATE: Read this comment by an anonymous poster who seems to know what he or she is talking about. Well, it turns out Matt may be in it after all. Take a careful look at this image. So I apologize to Matt Meese for accusing him of not being in the video when he actually was. It’s possible that Stacey and Stephen were in the video but their scene was cut. I would really like an explanation. It’s curious that more people involved in the making of the music video haven’t blogged every detail about their involvement. The only one to do so that I’ve seen is the costume designer (see link above). Did they have to sign non disclosure agreements or something? Did you all know that the famous comic, Brian Regan, had a divorce all the way back in Summer 2011? Me neither. Hey All, Thu, Fri, Sat I have shows in Logan, UT. Sun show in Cheyenne, WY. If you’re within 2000 miles of either city, love to have you. It turns out this patient went that same night. We got to talking about how his opener, Kermet Apio, was hilarious and that Regan seemed to have an off night. I observed that when we saw him here ~3 years ago, the crowd was more enthusiastic and Regan did two encores- even taking requests from the audience about what bits to perform. This year on a Thursday night, the crowd seemed more subdued, the show started late, and he did one encore without taking any requests. My patient mentioned that he might be going through a hard time because he got a divorce last year. The patient and his wife saw him January 2012 in Salt Lake City, one of TEN shows he did over two weeks at Abravanel Hall. (By the way that’s the same venue where they taped Regan’s 2010 album “All by Myself” which I now think of as an ironic title.) The patient’s wife commented afterwards that she thinks Regan got a divorce recently. The patient was taken aback, but his wife perceived it because of some things Regan said during the act. They went home and did an internet search. Sure enough, they found out Regan had recently been divorced. Here’s where it gets interesting for me. I couldn’t verify that when I searched for it December 2012, almost 18 months after it happened! It’s almost like it has been scrubbed from the Internet, or at least Google and Twitter. The interviewers and Regan go on to joke about how, because of the divorce, he presumably needs more money so he’s got to push a lot more merchanising like “YOU TOO” Snuggies. Now, I don’t seek out nor follow celebrity news. Sometimes celebrity tidbits get mentioned in the RSS feeds I follow. For example, I knew that Morgan Freeman was divorced, so my question is why didn’t Regan’s divorce make the news? How come I unwillingly find out that Brittney Spears used a gas station bathroom while barefoot, but my favorite comic in the whole world gets zero news about a major change to his life? Did Regan remarry? Or did the reporter just assume something because Regan’s divorce hasn’t been publicized whatsoever? In the wake of media malpractice concerning presidential politics, it comes as no surprise to me that I didn’t find out about Regan’s divorce until 18 months later. However, I kinda feel a little bad for Opie and Anthony. Even though they seem to have the exclusive on this bombshell, word never got out. But after scrubbing through their vile 4 hour show searching for the start of the Regan segment, it’s immediately obvious why no one must listen to them. Apparently one reporter in the entire world is doing their job. Brian Regan volunteered the divorce news in an Interview with Atlantic City Weekly published April 3, 2013. He was making fun of Wikipedia being wrong about his life stats; however, I have never seen his page mention his wife, so he may have been giving a little artistic license to illustrate a point leading to a punchline. What Kind of Society do We Live In? David Langford, O.D. on November 30th, 2012 under Asides, op-ed, Optoblog • Comments Off on What Kind of Society do We Live In? What?! We’re just playing. Having fun. Everyone who enters Walmart gets to see this intense, menacing, threatening, brutal, cruel, violent picture. Innocent four-year olds, impressionable tweens, expectant mothers, you, me…everybody! Don’t get me wrong. Mr. Fairy-face could just as well be holding a baseball bat. The issue is not about sidearms. Every sane, law-abiding adult should be allowed to carry a gun on the beach- holstered until needed to save own/family’s life and limb. The issue here is about men wearing makeup. The other issue here is showing such an intense, graphic, violent scenario for public display. The poster is sickening. Despite Mr. Fairy-face’s great trigger-finger discipline, he is pointing a gun at a guy’s head. A guy who has been buried to the nostrils in the sand, unable to defend himself, waiting in suspense for his brains to exit his skull. You would normally have to watch an R-rated movie to see this kind of imagery. Now Walmart uses it as their welcome sign! Okay, America. What kind of society do we want to have? I think it would be a good idea to go to church and pray about that. Optoblog revolutionized optometric blogging with eye doctor-related comics and poetry. Now we have “@ the Optotrician” which contains quick anecdotes and conversations that actually occur at a vision-center/eye-clinic/optical/eye-doctor-office. This is à la Love the Liberry blog that I discovered when it was linked to by Mental Floss the other day. It’s so awesome that I’ve already read the archives back to 2007. By the way, if you would like to be a contributor to optoblog, please see this page. Teenage Girl: Hey does anyone have a dime? Do you have a dime? An asian male (from Asia), 20s, doesn’t want the full glasses power I found written in his Rx. He wants less so his eyes don’t get worse. I explain it’s debatable whether that would help, hurt, or make no difference for his future glasses magnitude, but he insists. I am fine with it as long as he is legal to drive. I show him a +0.75 shift, and he is satisfied with that. What’s the deal with optometrists in India not prescribing cylinder? I’ve seen several Indians (from India) that have 0.75 diopters or more of astigmatism, and their glasses from last year are spherical. Guy in 20s: Can I charge my phone here? Man walks right past sign posting prices of eye exam. Asks optician, “How much is an eye exam?” This happens thousands of times a day. Here is most of the audio for the 2012 Cache County Utah GOP Convention held at Mt. Logan Middle School in Logan, UT on 4-11-2012 from 6:00 PM to 10:00 PM. I neglected to “start the tape” for the county candidates, but I got the rest. I’ve broken the audio up into two files. Here is a list of the candidates and their corresponding time slots on each audio portion. You know, everyone tries to tie themselves to where ever we are speaking, and I want you to know that, uh, in my misspent youth when I was a television news reporter I dated the dairy princess from Cache County. Temple Square: Salt Lake Temple visitors’ center-North and South, the Tabernacle, Mormon Tabernacle Choir, Conference Center, Joseph Smith Memorial building with its Legacy Theater, Church History and Art Museum, and Tour Brigham Young’s Mansion. The Gateway: Discovery Gateway children’s museum, Clark Planetarium, Olympic fountains (bring towels). Red Butte Gardens (at the University of Utah). They also hold concerts, like the band Cake on the 16th. Bingham Mine (a.k.a. Kennecot copper mine) tour- largest open pit mine in the U.S.A.
Connect Pass – includes admission to many of these things (that cost) and also includes a lunch at the Lion House. You can buy either a 1, 2, 3, or 365 day pass. Salt Lake Bees baseball game! Salt Lake Cemetery– visit the resting places of some of Utah’s most famous people! Also you can visit Park City. AP09 is Walmart’s policy on dealing with shoplifters. 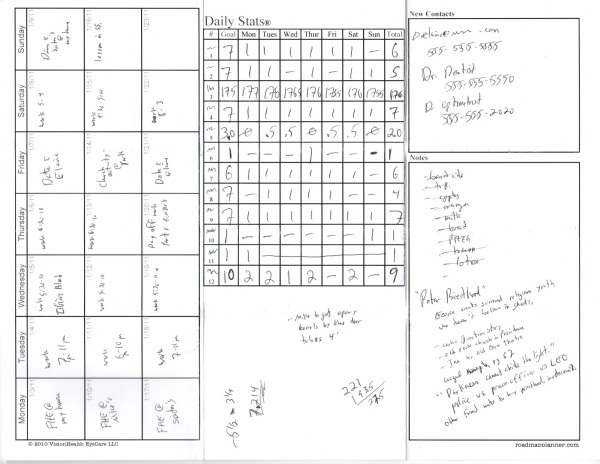 A copy obtained by KSL shows employees are allowed to use “reasonable force” to limit movements of struggling suspects. If a weapon comes out, however, associates must “disengage” and “withdraw,” the policy states. Imagine you have a Walmart employee who cares more about rules than their own life. In that exact moment, they hesitate because rule AP09 springs into their head. Their hesitation could cost them their life. I applaud these three men and one women. They acted reasonably and rationally. We should throw a parade in their honor. Agreed, no one thinks a pair of socks or a computer is worth anyone’s life trying to defend it. Criminals don’t care about your life. They kill kids to steal their Nike Air Jordan shoes! They kill to try to stay out of jail. You won’t know if they actually shoot or not until after the fact, but guess what! The very fact they pulled out a deadly weapon means that they are willing to use it! This isn’t about socks or computers anymore. We have to assume that if they pull a gun they are going to shoot! They are willing to…kill…you! Walmart shouldn’t expect people to play dice with their own life. Those Fabulous Four didn’t allow chance or the crazed mind of a felon to determine whether they went home to their family that day. Before September 11, 2001 popular belief was that if you give into the demands of evil people, then you would be okay. Apparently corporate Walmart never got the memo that the rest of us received on 9/12. 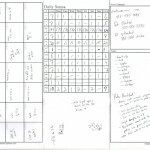 I have a little side project at roadmapplanner.com. It’s especially suitable for students (college or high school), but as a professional I use it too. It’s really helped me since this summer to stop being a slacker spiritually and get on task. My family is happier for my becoming a better person by performing the tasks and achieving the goals I set for myself. Please consider it for a Christmas gift for you or someone you love. 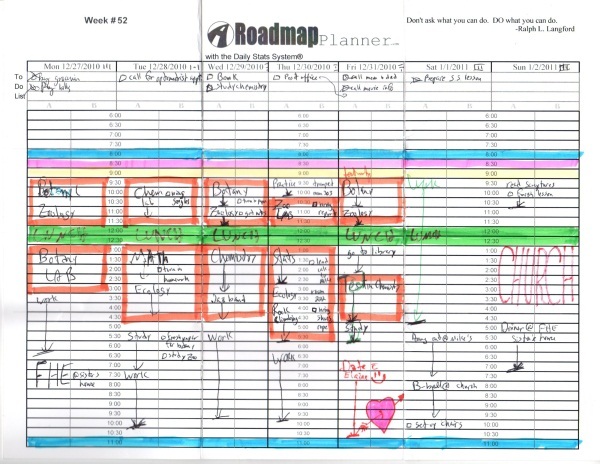 The Roadmap Planner with the Daily Dats System™ is a set of 53 small, portable weekly planners with goal tracking integration and 3 week future calendar and white space for taking down notes. An 8 1/2″ by 11″ sheet of white, uncoated, card stock paper is scored for a trifold on the y axis, and the user also trifolds it along the X axis. This double trifold design (like a road map 😉 ) compacts the page to a 2 7/8″ by 3 11/16″ footprint that fits in your pocket. Because it’s card stock, it’s rugged enough to last traveling in and out of your pocket the entire week. Fifty-three sheets come in the package, one for each week of the year. 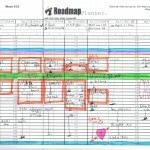 The Daily Dats System™ for making, tracking, and achieving your goals. To do list at top of each day. Plan A and B for each time slot of the day. Half hour time slots starting at 6:00 AM and ending at 11:30 PM. Current week planner on front and 3 week future calendar on back. White space for recording new contacts and other notes. Different motivational quote for every week. The day and date is pre-printed so you don’t have to write it out. We have a bunch of leftists running our country and Americans won’t tolerate the erroding of their rights any longer. Congressmen, for those of you who vote Yes on this monstrosity there will be consequences. There is cause and effect. You are free to choose, but you are not free to pick the consequence of your choices. God rewards good for good and bad for evil. You will be held accountable. Citizens, vote out of office any congressmen who votes for the healthcare takeover. Refuse to employ any ousted congressmen who voted yes. Refuse to support any group or organization that pays those ousted congressmen to speak or write books. May their names be a hiss and a byword for generations. May God forgive you because we won’t. Anyone who seeks to take away the liberty of our entire nation deserves no respect from Americans. America, you are beginning to wake up from a hundred year sleep. While you were sleeping, progressive thought has entrenched itself in every fabric of our government and society. Our children are being trained to be liberal-by-default in our schools, by our media, and even by ourselves-because we were trained liberal-by-default also. Today we are a world away from what the Founders implemented and what made our country the greatest in the world. Pride cometh before the fall. Please, America. We must humble ourselves. We must retrain in correct principles. We the people must have faith, hope, and charity. I invite everyone to read: the Declaration of Independence, The Constitution, The 5000 Year Leap, The Making of America, Liberty and Tyranny, and the Scriptures. I invite everyone to listen to Glenn Beck, Rush Limbaugh, and other liberty-loving commentators. Next week I am participating in a caucus to choose a candidate who will appear in the primary. Probably very few readers have ever gone to a caucus. 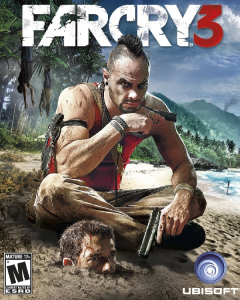 It will be my first time also. We can no longer afford to let others choose our candidates. We the people need to seek out those that will adhere to the principles of liberty and the Constitution. I invite everyone to find out their state’s election/caucus process (Utahns click here). We can’t wait to get involved in the November elections or even during the primary elections. Now is the time!